Improve visibility of Your hotel! 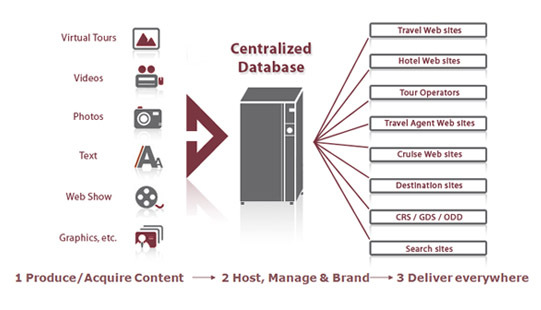 Our services do not stop after hotel is distributed to travel web sites and GDS systems! Our intensions – such as improvement of hotel’s visibility and competitiveness – are united in one single goal, and that is to increase number of reservations for our clients! For that reason, besides our own consultant services, we have also improved distribution service by making firm partnerships with the best companies in the business! Booking IT offers its clients the strongest global post-distribution services, which will enhance hotels’ visibility and recognition within distribution network and generate more transactions! Direct contract with Pegasus enables us to provide You with this excellent service as well. We are talking about Pegasus leading marketing program, whose importance has been recognized by over 4000 hotels in 140 countries worldwide. Utell basics are preferred partnerships with large global consortiums and tour-operators, which have an obligation to book hotels from Utell collection first. 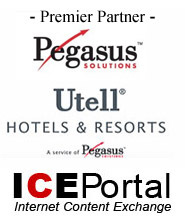 By now, Utell preferred partnerships consist of 32 biggest names from travel industry, and Pegasus invests 6.000.000 USD yearly into preservation of that partnership status. Utell enlarges hotel’s recognition everywhere in electronic distribution network, as well as amongst travel agents which use different ways of reservation. Utell service has been designed for independent hotels which want individual promotion! Hotel is not obligated to make any changes to his brand, or emphasize attachment to any Utell programs. Unlike classic distribution services, which deliver hotel accommodations to system where they can be booked, Utell service generates demands! Mere presence in distribution network does not guarantee that hotel will be really booked, whereas Utell increases booking chances in many ways. Utell enables his users to advertise in classic medias (brochures, newspapers, TV); availability in over 50 call centers positioned thought the world, and presence in specially prepared Internet directories. That way, hotel enters a brand which is well recognized in the travel agent circles, and considerably improves its recognizability in GDS and IDS systems. For more information, go to www.utell.com. Do You want to improve Your visibility on travel web sites? Do You want to receive more reservations from every site your hotel is currently present on? ICEPortal is service for You! Increase Your "look-to-book" ratio by implementing this top-quality distribution service of multimedia content. Enrich Your Internet presentation by putting virtual 360° tours or other rich content everywhere online. Give web site visitors a reason to choose You! Booking IT, along with our partner ICEPortal, can help Your hotel improve its rating and competitiveness on Internet by using simple and undeniable fact – “Moving pictures sells travell!”. Numerous distribution partners such as Pegasus, Exepdia, Orbitz, Travelocitiy, American Express, Yahoo Travel, Priceline.com, Hotel.com, Lastminute.com and thousands of others, guarantee that Your rich contents will get to any Internet guest!